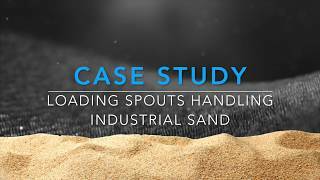 Selecting suitable equipment for reliable bulk solids storage, handling and transportation. Problems with the storage of bulk solids in bins and silos can be avoided if they are designed with respect to the flow properties of the dry bulk material which has to be stored or loaded/unloaded. The loading and unloading method used depends on both the bulk cargo and the equipment available on the ship and on the dock. This Technology Zone offers an insight into the latest innovations in bulk solids storage system and dry bulk materials loading and unloading technologies. ROUBAIX CEDEX 1 – For almost 40 years, STANDARD INDUSTRIE International is a specialist in the design and manufacture of solutions facilitating the handling of bulk products by combining safety and respect for the environment. CINCINNATI, OH – Ingredient Masters provides turnkey automated bulk batching systems engineered to streamline bulk material handling, storage and batching. Compared to manual or semi-automated systems, the Ingredient Masters automated systems increase product consistency, increase output, reduce waste and generate production data for lot traceability. Over 40 years, STANDARD INDUSTRIE International has been a specialist in the design and manufacture of solutions aiming to facilitate the handling of bulk products by combining safety and environment respect, especially in southern Africa. DARLINGTON – Discharge glass frit blends from two bulk bag unloaders into two ball mills. Previously, the client discharged glass frit blends directly from the bulk bag unloaders into the ball mills. As free-falling materials entered the ball mills, impact forces created a lot of uncontrolled dusts. Once again Cimbria had a busy year with many interesting square silo installations around the world. Also on the Scandinavian market, there has been increased activities and enterprise, and Cimbria has supplied a number of square silo constructions for the feed and food industry. Rail Transload Facility – Midwest USA – Each spout is equipped with a Vortex Dual-Axis Positioner. Sharon Nowak (Coperion K-Tron)Sharon Nowak serves as Global Business Development Manager for the Food and Pharmaceutical Industries for Coperion and Coperion K-Tron. Nowak works closely with the Research & Development and Engineering departments as well as worldwide customer requests to identify new applications and provide design and focus on the very specific needs of these industries. Nowak has a 30+ year background in the process equipment industry for food and pharmaceuticals as well as a degree in Chemical/Biochemical Engineering from Rutgers University in New Jersey, USA. She has extensive experience designing and integrating feeders and material handling equipment including pneumatic conveying into continuous and batch processes for food and pharmaceuticals including blenders/mixers, mills/micronizers, extruders, granulators and coaters, and contained processes for potent pharmaceutical compounds. To maintain operational safety and silo efficiency, it is imperative to establish a routine silo inspection schedule. The new, updated design promises to improve handling and stability in the loading and reception of all kinds of bulk materials.